What can we use this for? What’s in it for you? Well, all day long I hear: How do I change my thinking? How do I change my perception? What can I do to find a new home? How do I find a relationship? It’s so hard. I can’t do that. I’m trying. I’ve been like this forever! YES! And so was I. Until I started to change the way I was seeing everything. If you don’t like or are not happy with what you are witnessing outside of you it is time for inside work! Your thinking – becoming crystal clear and aware of your thoughts. Clear, precise intention and visualization. The Full Moon energy works with you to release at the core level including cellular memory and things blocking you from attaining whatever dreams or desires you have. At the time of the full moon it is important to focus on releasing the old and the past. At the time of a New Moon, we are more focused on setting intentions in moving forward. I already had a real grasp that we create everything with our thoughts. EVERYTHING! So, what was I thinking specifically that was making all this chaos in my life (which is behind me now)? I began feeling ready more recently to be in a relationship. One that would be different and more aligned with who I am now and becoming. Who I am now, who you are now? That is where your thoughts must be. I learned that old thinking and old patterns are just that. Old. What worked at 17 or 20, probably isn’t practical at 40, 50, 62…. you get what I mean! Letting go of old habits is one of the many ways I learned to apply my trust not only in the Universe, but in my own Intuition. I also used other influences such as my journal, crystals, mediation, a little creative Feng Shui placement of things, peridot and the phases of the moon to get me out of my old thinking on relationships. This perspective can be applied to anything – finding the perfect house, job, passion, car, etc. I have encountered many recently looking to be in a relationship, so I am using this example to as I feel it’s easy to relate to and impacted me tremendously. Everyone that is looking for a relationship is looking for that perfect relationship. That perfect person, the one you have it all figured out with and know. You haven’t settled for someone who doesn’t serve you completely. You have this image of who they are – what they’ll be like, or look like, or feel like. You imagine all the things you’ll have in common and then what your journey will be together and what it will teach you. How will you learn from each other? In the last 6 years I have been forced to learn to go with what is and just view it differently. I have found this is really our only choice. And I have to say the positive guidance, which has not always been what I necessarily wanted to hear, from Karen Flore, helped me to keep it together. It is her own unique gift of perception in reading a regular deck of Cards that helped me to keep my head up and focused forward. This totally made me practice patience. But I want to focus on the Full Moon today, and, your journal – if you journal, because this was the method of expression that is profound for me! I was writing in my journal what I wanted in my personal life and what I wanted in my professional life also. In this instance, I am focusing on manifesting relationships. I write and wrote all the time in my journal, “I AM in the context of already having what I desire.” (And may I suggest at this point and time you go back and maybe make a little note in your head of what you learned from past relationships and get a healthy foundation of what you want and only what you want, based on what you know that you don’t want for sure). It’s important that you don’t write down what you don’t want. You only write what qualities that you do want, as if you already have them. You want to write down what you are releasing but be clear and just state that you are letting go of anything blocking what you want. Any feelings or emotions not aligned with your best interest and highest good. Only give your energy, attention, and writing contracts to the highest good. So, I had it all together. Journaling, establishing the knowing of what I wanted in my relationship, and even who,maybe. And after months of realizing that nothing was feeling like what I was writing, I re-thought how I was writing it and asked myself what needed to shift. What became clear to me is that I had to focus on what was best for me in every moment and then the who, when, and where would, like everything else, fall into place. You have to erase your ego, release your need for control and things will flow effortlessly. When you are aligned with your highest good and what is truly resonating in your Heart, the Universe then brings to you that which you so desire. It may not be exactly the way you pictured it to be. However, the most important dynamic is that you are clear about honoring yourself, loving yourself as you are, believing that you deserve what you are intentioning and then allowing it to be! 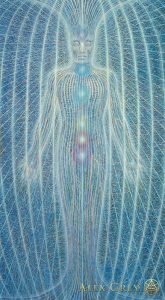 Love this Image of Energy, Thank you Alex Grey. 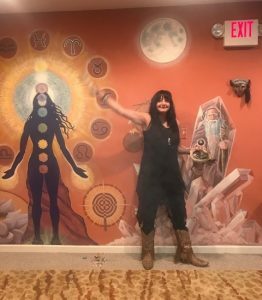 Grounding is a simple way of connecting Heaven and Earth! 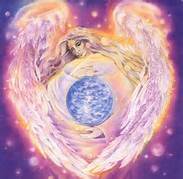 We all have an etheric cord of energy that moves through our body and plugs us into the center of the Earth. We are so deprived of this Earth Energy connection in today’s world. You can ground by walking around barefoot in the grass, hugging a tree or my favorite – feeling the sand on the beach! This cord runs through the Root Chakra (base of spine and pubic bone) into the Earth Star Chakra. The Root Chakra is associated with feeling grounded and secure. When the lower chakras become unbalanced is when this cord gets weakened and you can start to feel scattered, not intuitively connected, forgetful, unfocused or scattered about. It’s possible these effects will prevent you from manifesting things as quickly as you’d like. You really need to be grounded to be totally aligned with your intention and the highest good of what you are asking for. Grounding yourself is a necessary aspect of manifesting physical change. We definitely don’t want that to happen, especially if you’re also working on Patience! Which Crystals can you use? So this is usually what I like to do. I teach you this as a foundation and you can start here and run with the energy…. I use the terminated quartz crystals to surround the body and to assist in directing the energy up for loosening up stagnant thinking and feeling. This means the crystals with the apex (point) facing up or down alongside the receiver. 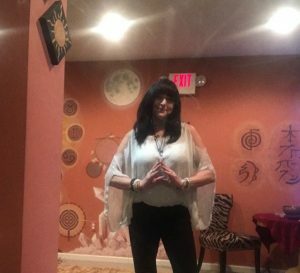 By directing the crystal’s terminated side down, I am able to bring spirit in and harness it to center, helping the body to become grounded and calm. Effective stones to use are: Black Tourmaline, Hematite, Red Jasper, Garnet and Smokey Quartz. These are my favorite to use, but there are many others. You can go to my site and read a little more about what these stones are good for and choose and make it more personal. This is a grid you can build and then lay in the center to ground or center if you’re alone. But it’s always fun to have someone make it for you and then receive a little Reiki. Why Not? I like the receivers head facing north. Reason being, Universal polarity runs North to South. Your body energy, when it is aligned and running correctly, goes up the back, over the head and down the front. So this will allow for the Universal polarity to feed the energetic body and assist in the balancing. It is also the best direction to sleep, hence your energy field is supported while you’re sleeping! I choose the crystals I’m going to work with and hold them to connect and set my intention and ask for guidance. You may want to also place the chakra crystals on the corresponding chakras to increase centering and balancing. Start slow, the energy of the crystals is nothing to take lightly. I have had a few experiences myself playing around and the energy became a bit intense for me!!! Imagine that! I place the grounding stone at the feet. I place a Tanzanite, pyrite and Herkimer diamond at the top of the head a few inches apart. The tanzanite connects the Soul Star chakra. This is where the spiritual energy and Divine love enter the body. It is also sometimes referred to as the Seat of the Soul. This will assist with spiritual development also and I think that is key in incorporating the direct connection of Heaven and Earth. Next I place my quartz crystal points, clear quartz or lemurian, one at a time around the body. I lay an equal amount of points on either side. Whatever other complimentary crystals I use can be in any denomination. It all depends on what I am creating and what I need to do just that. Whatever order I place the crystals, at the end of the healing I remove them in exactly the reverse order. First crystal I put down is the last to be removed from the grid. It just feels right! You can spend as much or as little time to do this grounding technique. I would do a minimum 10 minutes. But relax enjoy put some nice music on and Happy Grounding! Click to Shop Singing Bowls! Sound healing is not new! In many different cultures all types of drumming, bells, singing bowls, tuning forks, toning and chanting have been used for thousands of years. I am sure you all realize there is music that makes you want to belt it out and then there is that music or sound that makes you cringe! Singing bowls are believed in, and I believe in them because I have witnessed the healing – the way sound can calm the mind and in turn reduce stress. Sound or Vibrational healing can lower blood pressure, strengthen the immune system, improve your mood and very importantly, relieve stress. Sound healing entrains the brainwaves to synchronize so the brain can attune to a balanced frequency. So now, we can go from beta (normal waking consciousness) and at some point wind up in delta which is sleep where healing can begin. At that level the body is relaxed without all the chatter that has the thoughts that disrupt and scatter the body’s ability to be calm, in balance and heal. We simply move from imbalance to balance. Awareness is a key factor. As you are receiving the sound, you arrive in this place of stillness. I tell my clients to repeat a healing mantra as I play the sound. There is chronic pain in your hips or knees. So this may prevent you from climbing, walking long distances, bending, etc….So ask yourself, if I didn’t have this pain, how would my life be different? Answer is the mantra, so you can repeat in your mind, “I can move about freely and easily”. The new higher vibration goes into the body and the cells and old lower cellular memory of imbalance cannot stay in the same space as the higher frequencies. We all need to take responsibility for our dis harmony and then in turn our healing. You become completely aware of the sounds and the shift that is taking place at a subtle level. You can say your body is meditating to sound. I like to visualize floating in the middle of an ocean and all the ripples are carrying all the old away. Sound healing effects our physical and subtle energy fields. Click here to read an article about how sound therapy releases Nitric Oxide in the body which is really important for pain reduction in the body! Take Care of Your Heart and Your Heart will Take Care of You! What important system do these food herbs and minerals feed and support in the body? If you said Cardiovascular your correct. These are all used in different ways to prevent and support healing Heart Disease. It is the leading cause of death when people get older. And it is such an important organ. Not just physically. It is where we feel. Love, Hope, Faith and where all of the vibration of our desires originate to send out to the Universe for manifestation. When we suppress our feelings of heartbreak, anger, lack of intimacy, these are all hidden factors that definitely contribute to heart disease developing in the body. They are definitely underlying factors, I hear it all the time in my work. There are obvious ones also like, smoking, poor diet choices, etc. It is so important to work through issues of the heart, but who teaches us this ever? Regular exercise and good supplementation are very important for the heart. Now, the above food herbs…just a bit about them so you can start learning and asking the right questions to begin the healing or to strengthen the Circulatory system. Hawthorn berry strengthens the heart muscle and helps to reduce blood pressure and also really helps with peripheral circulation. Ginkgo, aids in circulation and the brain. Garlic helps in preventing hardening of the arteries. Capsicum helps also with blood pressure and peripheral circulation. Forever, cholesterol has been blamed as a major cause of heart disease. It is true that it is a big part of the arterial plaque, but not the cause. But it forms mostly as an inflammation response or damage to an artery. The plaque acts like a bandage to protect the blood vessel. Cholesterol has to be oxidized to adhere to the artery wall, so the cause and first problem is oxidation…No One ever had cause of death on the death certificate“Cholesterol”. It is imperative in healing and reversing any disease to find the cause and start there. Not just “take this”. Cholesterol is a problem when it is out of balance. Just some facts! Statin drugs actually lower your levels of Co Q 10, an essential enzyme for anti inflammatory for the heart and helps energy production in muscles (the heart is a muscle), and statin drugs stop the production in the body. Many medications cause toxic side effects because they are wiping out essential nutrients that the body needs to exist! I’ll talk about that another day. Table salt, is also said to be a culprit. If you use a mineral salt (with important nutrients) and drink plenty of water, (dehydration makes your blood pressure rise) things should improve. It could also be your potassium levels are off. So, if salt does seem to be an issue in aggravating your blood pressure, try supplementing with some potassium. Crystals that assist in raising the vibration of the heart would be rose quartz, emerald, green aventurine, rhodochrosite, smokey quartz, turquoise, selenite, citrine to name a few! The beautiful act of burning sage feels so freeing. 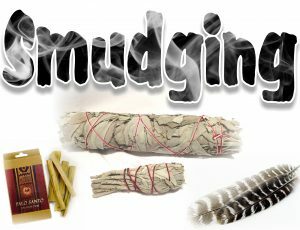 The ancient technique known as “smudging” has been used for thousands of years in ceremonies and for personal use to “cleanse your space.” So what does that involve, why would you want to, and why might you feel the need to? You know when something is right, it feels right. And, when something is wrong, it feels wrong. So when you walk into a space, any space, your home, office, a friends place, a store, you feel the environment first through your energy field known as the Aura – the layers of energy that surround your physical body. That is how you feel someone looking at you from behind or someone getting really close to you and you feel them in your space! Most people don’t realize that you pick up as well as leave behind a little bit of energy everywhere you go…but that’s another blog. It will lift your mood as it clears negative energy or what I like to call ‘lower vibrations” out of a space. 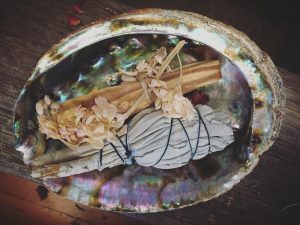 Smudging is mostly widely associated to Native American rituals but really it has its roots in many different ancient cultures such as the Indigenous Peoples of the Amazon. These ceremonies included the use of Palo Santo which is a sacred wood known mostly to bring sweet spirits in. The Celtic Druids burned Oak Moss for medicinal use! The Latin word for Sage is “Salvia” which means “to heal”. So when burning sage or palo santo, think of healing your space and yourself! The other qualities that Sage has are that it increases spiritual awareness and helps bring clarity – sort of clearing the air and the mind! Begin at the entrance to your space. Move in a clockwise direction so that you are going along with the direction of the universal life force. Move the sage (or whatever you are using, sound is even wonderful) all around the walls up and down clearing and just keep moving about like a dance almost. When you smudge, make sure to pay attention to high traffic areas including doorways and hallways. If you feel inclined to do an area twice, follow your intuition and smudge it twice! The Universe and your intuition are quite engaged when you are in an activity that they can assist. Ask to release, now and forever, all known and unknown blocks that may be preventing the things you are asking for from manifesting in your intentions. Then ask to fill the space with Love and healing energy and whatever desires you may have – don’t be afraid to ask for assistance from your angels and guides. There are so many blessings piling up because we forget to ask, or just think we don’t deserve these blessings but we do. We all do…Wait and see. 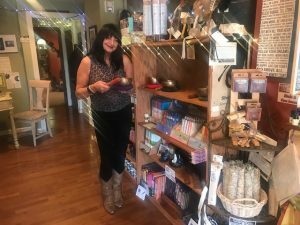 You can feel the benefits quite quickly and you can burn sage in your home, office…I even like to take some palo santo with me when I travel to clear where I am staying from the energy that was there prior. And, of course, it is in the bag with my candles and crystals! In my field, which I choose not to call “work”, I hear many things throughout the day as my clients describe their stressors to me. I don’t take this lightly because I know how stress can effect our abilities to see things clearly and from a centered and higher place. My response is always the same: “Try to see your stressors in a different less panicked response.” – This redirection is actually helping me utilize the same methods of processing everyday life. We are all thinking that it is so hard to turn a negative thought into a positive thought in order to start making positive healthy minded changes in your life. We are all aware that our thoughts inside manifest themselves outside. We also know, and there are no exceptions to this universal law, that EVERYTHING HAPPENS FOR A REASON. No situation or person gets a get out of jail free card – setbacks become lessons, learned on the journey of your chosen path, on which there are signs, directing you to the desired outcome, even if it doesn’t look that way. So on my way here today I was thinking, what might the Universe be trying to tell us with all of these Earthly imbalances (hurricanes, snow blizzards, fires, floods)? These environmental stressors coupled with our already hectic everyday circumstances are the reasons I’m observing people come to me frantically. I’m going to use this as my example. Weather conditions make us not want to go out. So is the Universe trying to drive us in? If so, it would look like the weather is a huge sign to go within – to spend some time in solitude to really get to know ourselves. To know ourselves is one of the most basic elements of living and it is detrimental that we take the time to learn about ourselves. Now its not sounding so bad. When else would we make time to do self care, in the midst of our crazy busy day? Set the mood. Think of your intention. Create your space. Be comfortable and away from distractions. Light a candle. Preferably an Intention Candle! Crystals raise the vibration of any intention and environment that they are present in. They are also made of the same minerals that work together to give us life. 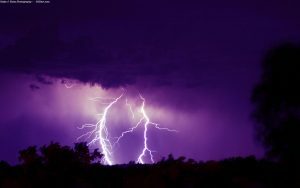 This is important because these aspects allow you to use the energy of the Earth in a positive way to manifest change when all around us the powerful Earthly weather activities are being perceived as negative. Crystals help bring balance through the raising of the physical energy field which influences our more subtle emotional energetic fields. Now think of the first thing in your life you would like guidance to change, and why. Focus on this part of your life and picture the outcome as you want it to be. Remember you get what you ask for so be very precise and clear. It may not look exactly like you pictured, but what you wanted will be there. Forgiving can be one of the most liberating things we can do for ourselves. Then why does it seem to be one of our biggest challenges??? Because if its easy we don’t learn. Most humans need to learn the hard way. And I am coupling compassion with this forgiveness topic because in some ways we need to have compassion for those that need to forgive. They are going through what they need to forgive and the emotions connected to that. We all perceive situations and heal very differently. In case you haven’t noticed. And probably not because we are so caught up in judging each others actions and behaviors not relative to our own that we lose the part about its not our business and shouldn’t have an effect on us anyway. No ones ever angry! so they say…but they just don’t remember! Sometimes we hold onto anger as a subconscious way of protecting ourselves from being hurt again. In the long run, that is worse. In fact, many people are still holding onto grudges or anger for something that happened 1, 2, 15, 25, 40 even 50 years ago. Please tell me what sense this makes when Buddha makes it very clear that “holding on to anger is like drinking a bottle of poison and waiting for the other person to die”. If we hold on we lose. It effects our emotional state. It interferes with relationships. It effects your sleep. Until you consciously let go of it, it eats away at you, and you don’t even know it. And, truth be told it takes a lot of weight off your shoulders because you are carrying it around whether you realize it or not. Now, I am not saying you have to go up to the person or persons and forgive them to their face or be their best friend forever. But, we really don’t know how another person thinks. We don’t know what their fears are that caused whatever to happen. Or their jealousies for that matter. Try your best to be compassionate. So sit quietly, close your eyes, see them in your space. Forgive them. Say it however you want, but mean it. Then ask them, YES, ask them to forgive you for anything you may not have aware that you did, to forgive you. Then LET IT GO. Release it from your body because it will eventually begin bringing imbalances to your physical body. You can disagree with me but I have been doing this work way to long to not know this as a fact. You can even write them a letter and burn it when your done and let it be gone. It’s going to hurt you less if you just try it! This will help you to live free of hatred and with peace in your heart. Bottom line, if you want to live a healthy, happy life, let go of the anger that may be holding you back! Check out some items to assist with compassion and forgiveness here! Let’s face it are all somewhat overly stressed by a barrage of responsibilities every day. Children with a lot of activities, project at work, aging parents maybe and everything we would do for our self is on the back burner! Friends and socializing, going to the gym, beach maybe are the things we put on hold. When things get so demanding that to me is the time we need love and joy even more than ever! If not, arguments happen, you’re not thinking clearly causing a short fuse for people. It can be frustrating. And probably you have less energy and less sleep. So how do you bring more Joy in your life? Well, first and most important is that the dictionary defines joy as a feeling of already possessing that you which you so desire. So the first step is to not get caught up in the present moment, live it and project what you want it to be. Make sense? I am here to say that there is a way, even with all these things going on to bring more joy and love into your life. You want to start by scheduling into your life at least one thing you love to do. It may seem out of reach but it really isn’t. When you feel in over your head, swirling in a vortex…think affirmations! YES. THINK AFFIRMATIONS. At really random times. You have to begin by replacing your stressed thinking with your own or build around these…you can make your own or find them everywhere…there is no excuse not to use them. I have many strengths and talents. I am amazing and I have a lot to offer. I AM LOVED AND VALUED BY OTHERS! This one everyone should recite! Repeat these affirmations to yourself whenever you need a reminder of how amazing you are! The more you find love, peace you give the more love you will have to give to others. I know this sounds so repetitive and so simple but the more you practice forgiving, accepting, and opening your heart the more people will begin returning the feelings to you. A change in your thinking, coming from a place of Love helps. If you can only learn to love others unconditionally, that same love will flow back in abundant amounts to you! That will bring you Joy! Stop focusing on what is stretching you to your limits and focus on all the things that you do so well and don’t give yourself the credit for what you do hold on your shoulders and all the juggling you do! Stop blaming yourself ever for not being adequate. Don’t ever be down on yourself. Positive self talk is key. While you’re at it give someone else some love and support as to their good qualities and make them feel good about themselves also. Everyone needs that little bit of nurturing thru compliments. Give it freely and get it back. Joy right there. I know it brings me joy when someone leaves my Holistic Apothecary feeling happier and better about themselves. Teach them about their inner strength and give them hope. Doesn’t it just feel good to know you brightened someone’s day? Sure it does. Click here to check out some helpful items to assist you to focus on Joy and bringing it to you!